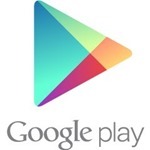 Google Play gift cards first started appearing in the US back in 2012. Since then it's been a slow rollout to other countries, and now it looks like India is up next. Google has updated its support pages to list India-specific terms, but you can't buy them quite yet. The page that lists gift card availability details has an entry for India, but the retail partners are currently "coming soon." It'll probably be all the usual sellers of technology products in India. We do know from this page the cards will come in 500 INR, 1000 INR, and 1500 INR denominations. It shouldn't be long until the cards start popping up. They might even show up in some shops before Google gets around to updating its pages. Google has posted all the details on the Google India blog.